I have had an idea, but I would like your feedback. Recently I have been thinking about different ways that I can promote film use and get more people shooting more film. There are lots of ways that I could do this and I do try to promote film photography as best I can, but a couple of things happened recently to make me think I could scale things up. Firstly I saw the recent success of a couple of Kickstarter campaigns most notably Dave Powell’s one for his book https://www.kickstarter.com/projects/1685238983/shoottokyo-the-book (well done Dave). And the Lomo one for their instant camera. (I will not link this on principle, I don’t think companies with large resources at their disposal should be using Kickstarter. But that is another debate). And this got me thinking, how could I get people shooting more film? By releasing a film that they would want to shoot of course. In recent years lots and lots of the really good emulsions have been axed. So wouldn’t it be cool if we could bring something back that people would really love. Now, I happen to know a few bods in the film industry and got talking to one of them about the feasibility of actually doing something like this. Releasing a JCH brand film, perhaps reviving an old emulsion, or making use of one that is current but not well known. And as the saying goes, if you have enough money, anything is possible. I was told it could be done, but it was going to take Kickstarter kind of cash. But, fortune favours the brave, so I think it could be done. 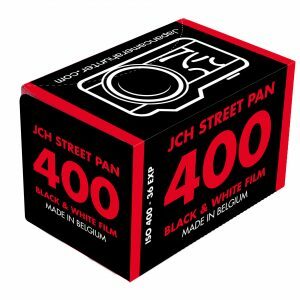 I would like to make a JCH photographic film, and I would like to make it a good quality film, that is easy to use and gives consistent results. I have always tried to stay away from Kickstarter et al (I financed the film cases myself), but I would need peoples help to do a project of this size. But that comes later. First of all, there are a loooooot of creases to iron out before I do actually start something ( I have to work out if it will leave me shattered and broke). But I thought it might be nice to ask you guys, the JCH community, what sort of film you would like to see? Mono, or colour? 120 or 135? Slide? Please share your thoughts in the comments below and lets see if we can make this actually happen. Oh, and please don’t say Kodachrome/Aerochrome, because we all know that isn’t going to happen. Camera hunter, photographer, camera geek, Tokyoite and Englishman all rolled into one neat package. I have been living and working in Tokyo for 7 years now and love the place. Tokyo is heaven for cameras and I know the secret spots and special places. Let me bring something special to you. I am a camera broker and can find and supply almost anything that people want. So contact me and let me know what I can do for you. I’ll put in a vote for C-41/135/Colour. But I’d be willing to try whatever you put out. I think the first two that come to mind as potentially successful projects are Neopan 1600 and Kodak Elitechrome/E100VS/etc. 135 first of all, but also 120 (maybe not neopan 1600). This is an excellent idea. In my opinion 135 colour print film would be the way to start. That’s what everybody knows and what’s the easiest and cheapest to develop in drug stores. Personally I would like to see 135 JCH slide film. Cheers! Definitely the more widely used 100-400ISO b+w/color 135..
Color slides for large format users,consistent results are one thing but given this is a JCH project, looking forward to seeing interesting cartridge designs or box’s to come along as a package. I’d love to see a pushable 135 B&W 400 of some kind. Similar to the popular ones like HP5+ and Tri-X. I think most people will want colour though. Bellamy this is a freaking cool idea… At least 400iso… Faster is where the gap is though…. 400 and push able is good though. Black and white both easier and better in my opinion. Aerochrome, and the whole film community will be interested. A Kodakchrome/Ektachrome equivalent would also be very interesting. i agree with Bram. If you could succed in bringing back some real aerochrome film (not the lomo fake one), that would be huge. And i think many people in the film community would love you for that ! I’d prefer either a low speed or high speed B/W Film, such as something like Ilford PANF/Rollei 80s or TMAX 3200/Neopan 1600. Colour films would be much harder to finance, but if there’s a higher demand for that something like a high-speed colour (think Cinestill) would be awesome. Though here’s an interesting idea – though most probably tricky / impossible: Reverse processed B/W film, for black and white slides. I think AFGA used to make one but it’s no longer produced. Finding a lab that would reverse develop for B/W would also be tricky, but I’ve always loved the idea! Either way, I’d love to support whatever endeavour! Many companies still making good black & white film.. Don’t want to interrupt their business. Only Kodak has some good color film left (and fuji a tiny part). So if they leave.. We need another good color film. I’d like to add that I would back this project and would love to help developing this product. (And become a European reseller). If you could revive Neopan, then hat’s off to you. It’s a truly lovely black and white film that I will miss when the last rolls are gone. What would be great place to start is a nice, bold 100 colour print film. Probably the easiest to make, i would have thought. Also, apart from Ektar, there doesn’t seem to be one left (I don’t know what Lomography is using for its 100-speed print film). I think we need something along the lines of Ektar maybe in a 400 speed. A high speed slide film thanks. My Hexar RF has developed a taste of Provia 400. Jesse is right, as long as Ilford, Kodak and the bunch produce good B&W film it’s no use adding another emulsion. Perhaps a high ISO film….. but Tri-X can easily be pushed, so not a good idea. But a good, affordable 135 color film, easy to scan….. why not. I’m afraid slide film will slowly disappear anyways (but I might be wrong on that one and attract some flaming for this). Then there’s distribution to think of. The film will probably be produced in Japan….. so the shipping will be expensive if it’s not distributed widely by resellers (Amazon anyone?). Your film would have to be something special, not already widely available if you want to succeed. +1 for a slightly smaller film case, 5 or 6 would be awesome, like your 120 cases. And I would even buy it if it were pink. For the choice of film: I would love love love to see some kind of a more color-constant Kodak Gold 200 or 400! Personally, I use very slow B&W film…125 or slower. We have that and a few color emulsions. What I’d like to see are some of the motion picture emulsions that are gone. Seattle Film Works, now defunct, used to re-package such film. Very different and vivid colors and fine grain. Had a great look to it. This is a great idea. I see such an enterprise as very positive for film shooters and photography in general. 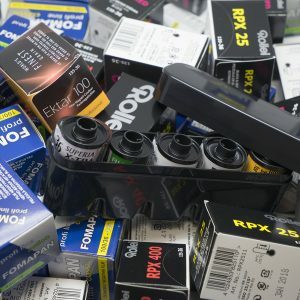 To see a new manufacturer of film would go far in not only promoting film but it would also help to relieve some the anxiety current film shooters have over eventually losing this awesome medium. There are a quite a few funding routes also. You could white label some existing stock which would allow you to build your market and generate some revenue with lower risk. Then move into manufacturing with by licensing a discontinued formula. Eventually you’d be creating uniquely formulated films. A great idea that I’d be willing to back. How about a 1600 iso 35mm black and white film? Yes, I know tri-x can be pushed, but a native high iso b&w film could be quite interesting. For 120, perhaps a slide color film that wouldn’t over-saturate skin tones (maybe something like this already exists… I don’t know) would be nice, I think. Bring back the Provia 400X. Fuji took it out last year, and it was the last high-speed chrome film avaliable. It’s sort of expensive? Yes. But there are people that use it. Very cool. I’d be interested a color negative film that’s contrasty and edgy for my style of street shooting. 120 negative sounds great for me ! good luck with your idea – Go JCH film ! How about something inline with the discontinued Reala 500d? Admittedly, got into film too late to shoot this, but have seen very good images from it. Absolutely…would love to see…are you ready for this? Of course you are…Bellamychrome 64 (but make it E-6). Thanks for continuing with a great site. There’s only one film I’d like to see – Kodachrome. Barring that, Agfa ultracolor 50. I’m pretty happy with the currently available selection of films. Portra, Tri-X, T-max, Cinestill. Not sure I need anything else, except I do miss Plus-X 125. My vote would be to bring back Plus-X 125. You said not to say Kodachrome, but how about Kodachrome with a home developing kit. :-). Thinking big! Whatever u decide, it will have to be something unique and cool. It’s going to be hard to compete on price if you come out with something that is similar to what already is available. Almost forgot… Some of the old Agfa color films from the late 80’s early 90’s would be nice too. Cheap high speed colour film (800-3200 iso) and something like aerochrome for 135 and 120 formats. I’d definitely support that with a pledge. While I usually shoot b/w, I can’t say that the lack of good b/w films is alarming yet, and I’m pretty okay with pushing when I need me some high ASA fix. What I really really (really!) 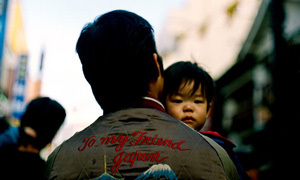 miss from my Japanese days is Fuji Natura 1600, a mind-blowing low-light color neg film nearly unavailable in Europe. 135 is probably the way to go for profitability, but a Fuji Natura clone in 120 would make me sooooo happy. Well, that and a nice positive b/w film. This would be pretty awesome, but that’s a niche in a niche. 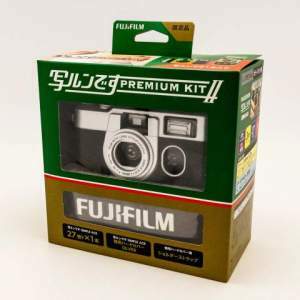 I miss Fuji Reala so much! It was the best colour film IMO. Really nice rendition of all colours, slightly vivid but not over the top. Such a great film, so sad to see it gone. Provia 400x and Astia 100 in 135 and 120 please! Kodak has said that they’re not bring back Plus-X, so I think that would be a good candidate to try. However, the devil is probably in the details with the bankruptcy and lawyers. But I would like to see Plus-X brought back. Forgive a naysayers voice, though I love your site, and really, really love your film cases. My thought is that it would be difficult to use a project like this to get people more interested in film. As long as Kodak is making Ektar, Portra and Tri-X, I’m unlikely to branch out, except as a novelty, which wouldn’t be a sustainable long-term business model. Since film emulsions take some getting used to, adding another is just complicating workflow for a serious or semi-serious photographer. You’d have to add something we clearly don’t get from current emulsions, so either something super slow or super fast. Like the ISO 10 black and white film Paul Wolff used in Meine Erfahrungen mit der Leica. Maybe a replica of the early Agfacolor Wolff used. The barriers to using film (as I see it) are cost and shareability. Unless you can bring down cost, or increase the ease of sharing photos (an amazing kickstarter would be user-friendly scanner software), I think you’ll need a clear competitive edge to sell much of this. I agree with previous commenters that you should release a single-row version of your 135 case. I’d buy some. Tx-400 & Neopan 400 (135 &120). High speed colour neg film or a high speed c41 bw film would be excellent. 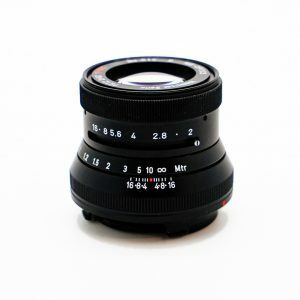 35mm colour that’s really cheap. Soft colors and moderate grain. Please :) I’d buy in bulk. I would definitely back this. I’d like to see a revived emulsion like Extachrome. More generally I think 100-800 ISO color would be great. fuji superia 1600 kinda film in 120. The one film I miss more than any other is Fuji Astia 100F. I still have some rolls in the fridge in 120 size, and one box of Quickloads. However, it seems that more people would like a B/W film, so in that case, my two favorites ever were AGFA APX25 and APX100. good luck with the idea/project! I have always viewed film revivalists as a DIY crowd (I understand I may just be projecting) so for those reasons I think this is a great idea for JCH, and accordingly, I vote for B&W 35mm, for home development ease. Apparently my first comment got lost in cyberspace. Trying this again. If it’s a double post, I apologize. 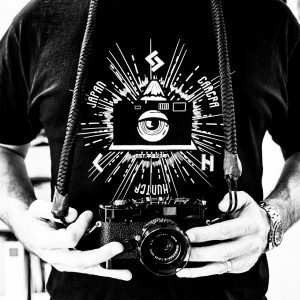 Though I love your blog, and the film cases, and I am about to click “buy” on one of your t-shirts, I think you’re asking for real feedback from film shooters, so here goes honesty. If you’ll listen to the voice of a naysayer, I’m not sure if this would work. As long as Kodak keeps making Ektar, Portra, and Tri-X, I don’t see myself switching to another emulsion. It takes time to figure out a new emulsion, and that time is expensive. Unless it offers something really distinctive, a new emulsion is going to remain an occasional novelty for me. And “occasional novelty” isn’t going to re-energize the film industry. If you’re looking for real distinctiveness, something either really slow or really fast would be interesting, at least to try. 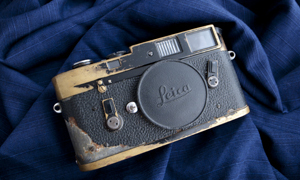 I’m thinking the ISO 10 film Paul Wolff used in Meine Erfahrungen mit der Leica. Or something like the very first color films, say Agfacolor. Other than that, the barriers to entry in the film world are cost, inconvenience, and difficulty with sharing digitally. I doubt you can make a big dent in cost (with the scale you’re probably thinking about). Inconvenience is part of the charm. So that leaves you with digital sharing, and a really amazing kickstarter might be fast, cheap, user-friendly scanning technology. I also second the suggestions above that you do a 5-roll version of your 135 case. I’d buy a few. Great points. I also agree with Nathan. Again, just competing on product alone and trying to beat price on rolls of film by .50/roll probably won’t hit a huge market. You either make one film really good and unique and sell that (something that no one else makes). As I said, I think a better business plan would be to sell a film/service “package”. i.e: cheap bulk film sales with a cheap combined process and scan package/program. Combining film+processing would be a logistical nightmare, with customers all over the world. International mails are occasionally x-rayed, which would be a disaster for exposed film. Also, I’m not sure it’s legal in the USA, as Kodak was forced to stop that in the 1950s because of a lawsuit. Developing film internationally is illegal in USA? Since when? I live in Australia and regularly send film to USA or to other locations sometimes via post for developing and scanning (as its too damn expensive in Australia). I’ve never had a problem. X ray is usually not a problem for slow speed film anyways (anything less than 800 ASA). 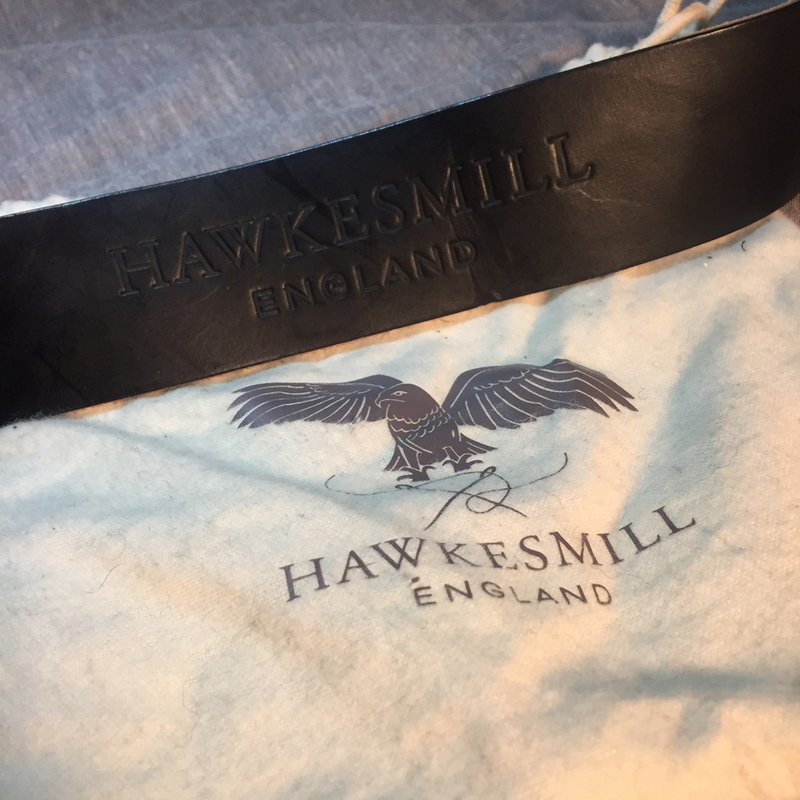 If faster speed film is sold/sent then it may be possible to use a mailer with a light lead bag or get customers to invest in their own reusable lead travel/postage bags. I have a lead lined domke travel bag that I use to transport high speed film in. I was not clear, sorry. It isn’t that development is illegal, it is the bundling of films with processing costs, as far as I know. This is why Kodachrome, despite the complicated development process, could no longer be developed only by Kodak after 1952. I am not a lawyer, so the details could matter a great deal. As far as film and x-rays goes, there are varying opinions, and I know yours is the official position of most airline security systems around the world, but there are those who disagree. Salgado, for instance, states that twice through a scanner is enough to degrade Tri-X in medium format to the quality of 35mm. And that’s just airport carry-on doses of radiation. Mails are subjected to higher doses because the contents are often denser. The details and truth of that issue are not something I really want to debate though. I was merely pointing out one of the issues with this complicated topic. I’m all for increased use of film, I just don’t know that this is the best way to get a bunch more people interested. EFKE 25 or 50 in 120 format or 220 even better ! Something nice and colorful and preferable C41 (although I love slide, C41 is just easier to get developed). Hmm, something like the old Kodak Ultra Color? Or is it just me that liked that one? Hehe. Bellamy, please revive Kodak Ultracolor 400. I think it would all depend on price. If it’s just as expensive as the Branded options, then I don’t think it will take off. 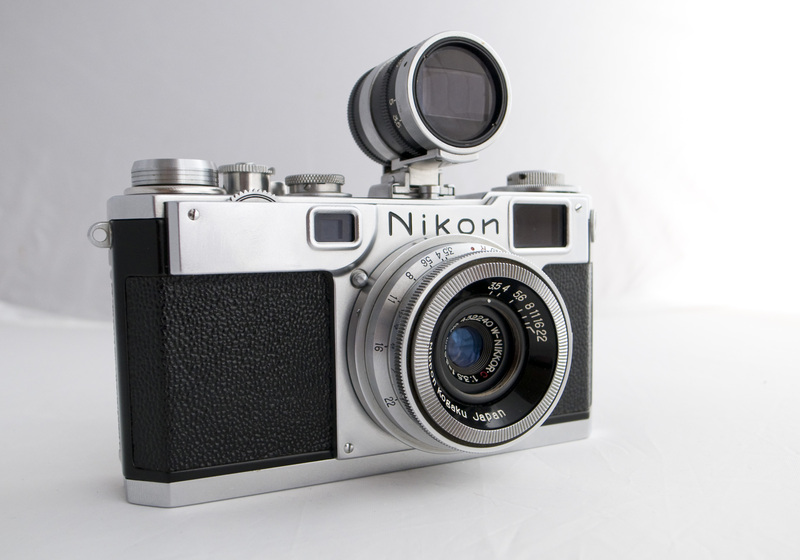 If however its noticeably cheaper than the Kodak/Fuji/Ilford counterparts, then you have a business. And yes i know you can’t get anything for nothing, but it’s the only option to make it cheaper. Yes, it must beat price. What about $10 each roll? ….but that includes processing (no prints) and scanning (service). Service combination is how you beat the competition! 35mm color print is the safest bet. I’d prefer a 120/220 version though. Aim high revive kodachrome, 25 and 64 whynot also the 200. But repackage bw cinema film can be interesting. Black and white 400 ISO, easy to push. 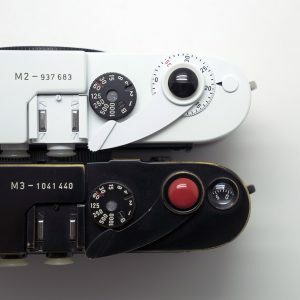 Honestly though, the biggest thing that would get me shooting more film is a better, faster, easier digitising method – like Ming Thein’s long trailed copying rig. That and a reliable postal developing service. Great idea!! I think you would need to find a niche for your product, no need to compete with existing film. Just got started with film myself and know very little what good film is not available anymore, maybe Kodachrome? But considering economy of scales, I would reach beyond the niche of JCH community (no pun intended), which is mainly film lovers not doing it for a living. If you get people on board, who shoot film for a living, it might bring this project to another level. Why not try to reach out to other film related facebook and flickr groups? That’s right. I think the niche you could fill would be the combined Product+Service. Bulk film sales + Processing and Scanning. I think that you would have to try and find a niche film category, so not normal C41 colour film or something like that. So I would vote for colour slide film of about 400 ISO. But I think that whatever direction you go I would pledge some money on Kickstarter. Have one colour and one B&W product offering. Then… if you want to do well I would take into consideration that I think one of the major issues film shooters have in this day in age is cost of processing and digital workflow solutions. If I were you I would somehow integrate in your business plan film + service such as: Good pricing and discount for combined bulk film purchase and then have your own film mailers and have your customers ship back to you for processing and bulk scanning. This I think will really make a difference and get more people shooting film… which will increase your product (film) sales. 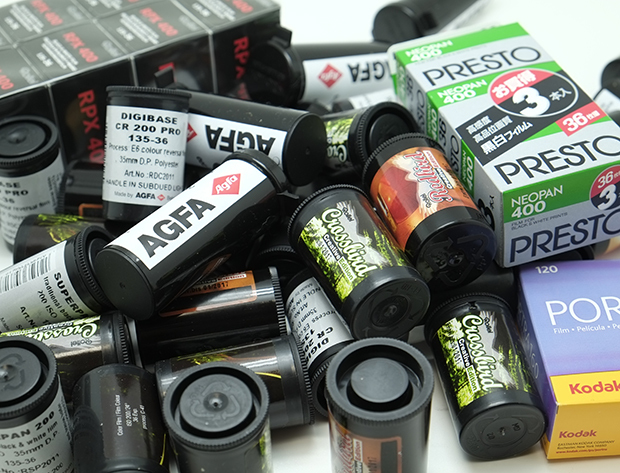 Would opt for some “out of stock” films like Neopan 1600 or Kodak Ektachrome VS / Extra Colour. Because most stuff in b&w are “in stock” and in C41 most types. In slide terms we have Fuji. At least. And some rebranded Fuji’s. Personally to have success in this I would go and try to bring back aerochrome. It is a different film to that of the market and there would be a lot of interest in purchasing this film. There are plenty of good black and white film and colour film in the market already that adding another stock would be negligible. Something along the lines of Kodak UC 400/135 for me, too. Would love it! Hi, interesting thought. Unfortunately I believe it not to be very realistic in the sense of REALLY making it work. The costs for the RnR would be really quite high, including investing in machinery and time to get the mix (emulsion) and its’ application on a film right. Currently I would want to shy away from anything which might influence making of film at Eastman Kodak (which actually produce the film sold by Kodak Alaris under Kodak Brandname) or Ilford negatively. Fuji is going to leave film production sooner or later. Ferrania might enter production this or next year (illustrating the difficulties). I believe the film market is currently in transition from a collapsing (former) mass-market to an enthusiast’s marketplace where we will have higher prices and a steady but much smaller user-base compared to say the onset of digital. After all we all can just use that much film and are our numbers really growing? I double the argument of Ed bringing back aerochrome also… It’s about a niche in the market. High speed films (1600/3200) would be great. Something along the lines of Fuji Superia 400 in 120 format. I would really love options for 135 and 120 film, color or BW, but if I have to choose something I would choose 135 BW for sure. Colour c41 seems to be in a vulnerable position compared to b&w. If Kodak ever goes away we’ll be left with almost nothing, particularly in the larger formats. My vote would be for color c41 in 120 but concede that it probably makes more sense to start with 135. I suppose it will be dictated by what is offered to you by the makers. You don’t have to stick to just one film either. Sell what is available batch by batch. What doesn’t sell to the aficionados will sell to the Holga/Lomo crowd. Personally, I’d love 120 Fuji Velvia100 with a thinner emulsion (for easier scanning). That’s probably not gonna be so saturated, but as long as the hue characteristic is there all you have to do is, you know, PS it. An admirable task but it may be very much larger than you imagine. Are you planning on relabeling existing film, repackaging existing film (like CineStill), or are you thinking of manufacturing the film yourself? I believe that although 135 film would be more popular, it would be a much more difficult sell given that Kodak, Fujifilm and the others are still producing it at this time and are making it fairly price-competitive. My vote would be for 120 film C-41, “sixchain” mentioned Fuji Superia 400 in 120 format. Given that I have only found Fujicolor Pro 400H in 120 which costs in excess of $7 USD per roll, and Kodak Porta 400 is close to the same price, maybe you could contact Fujifilm or Kodak and see if either would be interested in private-labeling C-41 120 in a ISO 400 or 800 speed. Both manufacturers are still making 400 & 800 C-41 emulsions in 135, so hopefully one wouldn’t perceive your inquiries as competitive to what they currently offer. It is always interesting to read something like this. If I understood right the business idea is to use kickstarter to finance the recreation of a film which is not available anymore. But did you consider the question what to do after the initial kick? This business modell must be driven by the asumption that the decisions to withdraw films from the markets undertaken by the respectibe manufacturers of those films must have been irrational and not related to economics. I hardly belive that this was the case. Films disappear because of a combination of declining market and not or underproportionally rasising prices. No manufacturer of film is in a really healthy state. We either need more market again to enjoy economies of scale or raising prices per item. Kickstarting yet another product on the limited market leads to less demand for the existing manufacturers and thus destabilizes the market (most of the proposals above relate to yet another film which de facto already exists in another version like e.g. a color film C41 with 100 ISO). Only if it was something really exotic this would not be the case but all existing manufacturers would be happy to reintroduce such a film if they knew there was the potential to ask the price needed and sell in quantities also needed to sustain a production. Film is a consumability. You can only manufacture it constantly. Maufacturing just one batch is difficult and probably does not much good to the comunity. So the real solution for the dilemma of a film not being available and the wish to reintroduce it to the market is to find out about the market potential for the film if it cost 10 USD or more per roll. If this proves positive the second would be the kickstarter intitiative. exactly. People still have an interest in film, but at the end of the day even our photos taken on film are mainly shared in digital formats (via flickr, etc). A innovative and probably a more profitable business idea would be to come up with a more streamline and economical way for people to take photos on firm and them develop and scan them to digital as quick and as cheap as possible. Sure you can make a rare and exotic film and I’m sure you will have some buyers. however, if you want mass appeal and i.e. more customers and a larger more profitable business… I think it will have to be filling that niche of Film -> Digital workflow. Currently the only option people have is to choose and buy film (cost 1 $)… then pay to develop and scan (cost 2/3 $). This money is going to 1-3 different businesses and the time frame between purchase and sharing photos is longer. If you can make this transition only cost someone one single fee which is lower and make the process quick by only having the customer deal with one single person/business then I think you will attract more customers and fulfil a need. People want to use film, but are impatient. This sort of business would bring more people to film I think. Exactly. The price needs to be lower and convenience higher, along with greater interest in film in general to support this. For what it is worth, the photo club in my town (the seventh largest city in the US) is seeing a gradual rise in the popularity of film. Do you have a reference? That is interesting.. I haven’t read that. Thanks for sharing. Wouldn’t it be possible to get around this by using an appropriate film mailer/travel bag (lead lined)? Why not? Be a visionary! I would like to see a true ISO 800 B&W film. I always thought the industry was heading in that direction before digital took hold so quickly. But, I would love to see Neopan 1600 brought back by Fuji, or to have them license the film to a smaller manufacturer. Fuji never really supported the Neopan films here in the US, and so it would be reasonable for them to claim there was not much of a market for their B&W film. BTW, I don’t like the 3200 films. Thanks for floating the idea. Neopan 1600…… A real loss that one. A slide film emulsion is something that will fill in a niche that is almost empty nowadays, or that commands outrageous prices almost $12 por a fuji slide roll, really?! In this sense either E100S or E100VS will be tha bomb! I still have a good stock of these films but I dont know what I will do when it runs out. Kodak Ektar 100 C-41 will be the only “similar” (not really) option, as Kodak claims. The B&W market should not be diluted more. Although with new price increase in Tri X . . .
Could we please keep using the film we have on the market? I would die if kodak Ektar became unavailable! A niche film brought back would keep demand dwindling for what we still have available. I draw the line in this battle at 120. Let 135 go. a low iso slide film would be really cool or a 1600 b+w if you could keep the price down. Honestly I will most likely back whatever it ends up being haha A slide film would be my top choice though. high. Also I will only use USPS to lessen customs complications. non film enthusiasts, and pros, do not know what 120 film is. Forget E6. Kodak closed its lab on San Pedro Drive in Davao. Thanks for an opportunity to make a comment. Also- to those of you wishing for a BW positive: Any BW film can be developed in a reversal process (there are recipes out there, I’ve got a couple but have never gotten around to mixing some up). The only problem with most films is that they do not have a clear base like Scala did. As far as I know however, Rollei’s offerings on synthetic bases are just that-crystal clear! I presume you are going to white-label an existing product line? Suggest you speak to ADOX and get them to speed up their long promised 400 B&W. Would be a good start & coup for you to launch it as ADOX/JCH 400! More generally: a TRI-X / Neopan 400 / old Agfa 100 or 400 substitute. For colour: it would have to be good and cheap to justify doing. An original Agfa Vista 100 tribute maybe ? I need more E100VS and another Ektachrome, also a Astia too. Another film that I really want to use is Kodak Hawkeye. It will be nice if you can come with those film. Thanks. I would absolutely support that idea ! Pledging on kickstarter, and buying the film after when it comes out! I think it’s a great idea, and very exciting! I would go for 135 slide film, but C-41 could be great too. I certainly hope this idea of yours will be reality one day!
. I never got a chance to try FortiaSP – IIRC, a Japan market film by Fuji for SPringtime shooting of the cherry blossoms. Would support it in 35 or 120. Kodachrome I can understand, but why is it so difficult to reproduce Aerocrhome? Lomo tried with Lomo Purple but failed miserably. #2 For a new film, I would vote for a C-41 process color negative film that would be the color analog of Adox CMS 20.